MCM London Comic Con May 2018 Newswire #2 – Sunday news round-up. Everything you missed at our second Anime Limited panel. So, here we are again… at the time of publishing this, our second and final Anime Limited panel at MCM London Comic Con took place yesterday, bringing with it another host of announcements in addition to those that we revealed to you on Friday, which you can catch up on over here at this blog post if you missed them. Let’s waste no time and get straight down to what we had to show you during our Sunday panel! You’ve been asking for it for a long time, and today we can finally confirm we’ve made the first important step regarding a franchise you’ve all been waiting for, as we can confirm we’ll be bringing the second film from the classic Cardcaptor Sakura franchise to the UK, and on Blu-ray no less! 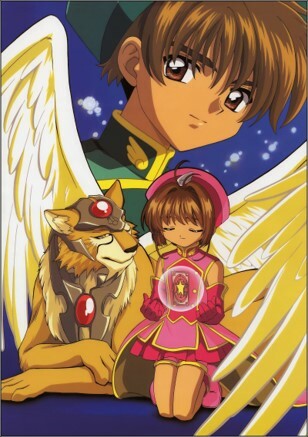 We haven’t currently finalised our plans for The Sealed Card, but watch this space for more Cardcaptor Sakura news as and when we have it. Last October, we revealed our plans to launch a vinyl record label here at All The Anime, and although we’re still working hard on perfecting our processes and getting everything ship-shape, we do have another title to add to A Silent Voice and Trigun amongst the first wave of soundtracks we’ll be releasing on vinyl. 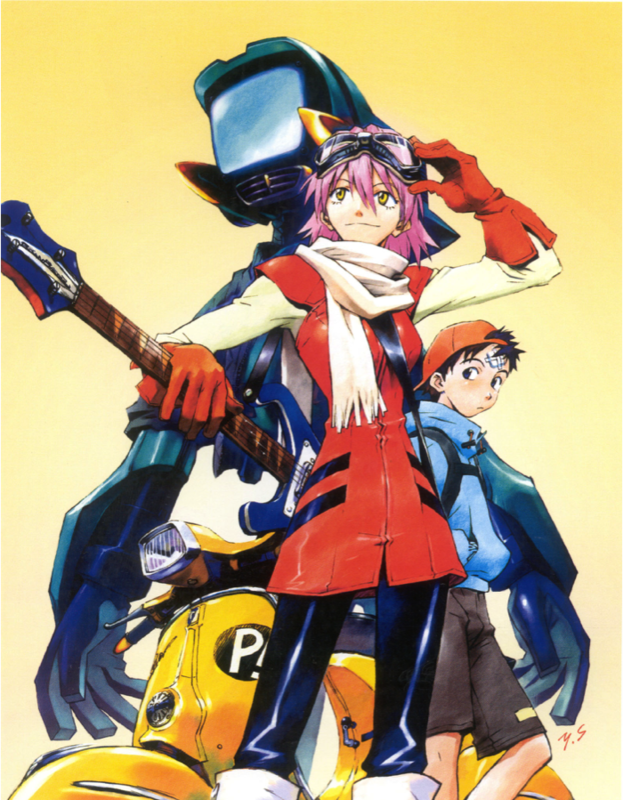 Our latest addition is a true classic that’s about to enjoy a new lease of life, as with its sequels finally on the horizon we’re revisiting the iconic soundtrack of FLCL for a vinyl release, bringing you what we hope to be a gorgeous edition of The Pillows’ fantastic sounds to enjoy and treasure. Again, we’ll bring you more details of our plans for the design, track listings and so on in due course. Many of you have hopefully already picked up your copy of our latest Ultimate Edition release in the form of Wolf’s Rain, but what’s next for our Ultimate Edition range? We provided the scoop at our panel, by announcing that we’ll be returning to Satoshi Kon’s classic film Perfect Blue and re-examining it in a way never before seen outside of Japan. For starters, our release will feature the film on Blu-ray of course – however, this isn’t the transfer that you’ll have seen in cinemas or on our previous release, but via a brand new remaster of the film to notably improve on its visual quality and give its striking direction and composition a whole new lease of life. Alongside that, our Ultimate Edition will also feature the film’s soundtrack on CD, but most notably of all this will all come housed within a massive, fully English translated 380-page storyboard book never before seen outside of Japan. This book will allow you to see all of Satoshi Kon’s storyboards for the film, and is packed with notes and thoughts from the director himself to give you a comprehensive insight into the creative process behind this groundbreaking film. In other words, even if you’ve owned the film via previous releases, we’re confident that you’ll want to dig into this Ultimate Edition and the new ways it offers to immerse yourself in Perfect Blue‘s dark investigation into the human psyche. If there’s one question we’ve heard from a lot of people over recent weeks, it’s whether we have any plans to celebrate the 20th anniversary of Cowboy Bebop, and it’ll be no surprise to hear that yes, we do, and you can expect a Cowboy Bebop 20th Anniversary Edition to arrive in the UK in some shape or form later in 2018. While we’re still finalising our exact plans for this release and what they will entail (doing awesome things takes time! ), we can confirm at least a couple of factors about our release. 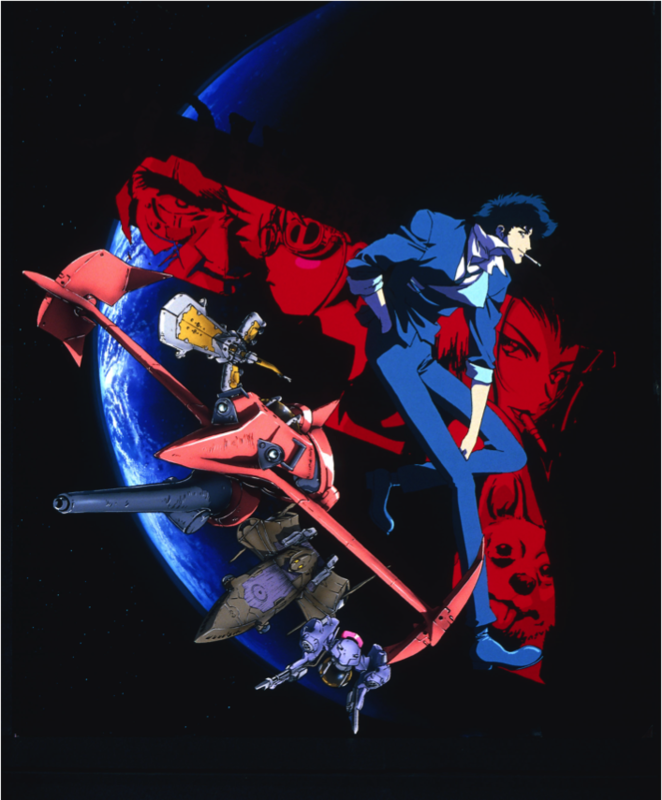 Firstly, we can confidently say that our release will contains all of the Cowboy Bebop TV series soundtracks on CD – with music as good as Yoko Kanno’s, just the equivalent of one soundtrack’s worth of music simply isn’t enough, so we’ve worked hard to ensure that you’ll get all of the notable music for the show included in the package. EDIT FROM JEREMY – We’ve heard from people overnight wanting to know if there will be any vinyl included in this set we’re planning. We want to confirm right now that no, there will not be any vinyl of the soundtrack included. But, the reason for this is that we’ve always said if we were going to bringing a big release celebrating the anniversary of the series, including all of the soundtrack rather than part of it would be of prime importance for us. We have the opportunity to do that just that by including all of it on CD, so we jumped at the chance when the opportunity presented itself. Secondly, we’ll also be making sure that our edition will accommodate the Cowboy Bebop movie in some shape or form – again, our exact plans for this are still in motion so we’ll confirm more once these plans are solidified. We’re really excited with how our plans to celebrate this big anniversary for the show is shaping up, and we really can’t wait to share more with you as soon as we’re able! That’s a wrap of all of our MCM London Comic Con announcements – we’d love to hear what excites you, and what you’re looking forward to most from what we’ve revealed. Whether you were at the event or not, we hope you’ve had a fantastic weekend! Any idea when you’re dispatching the SAO Ordinal Scale boxset pre orders? I’ve heard nothing despite ordering weeks ago from your webstore. 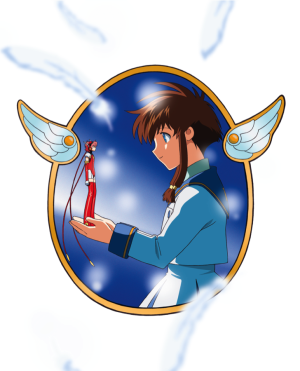 Also thanks for licensing Angelic Layer, I haven’t watched that series in ages so I’ll be sure to pick that up when available for pre order on your webstore.